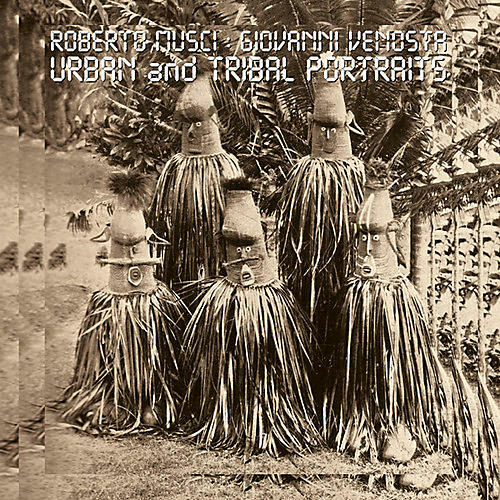 Release Date:03/09/2018;Notes:Soave present a reissue of Urban And Tribal Portraits, Roberto Musci and Giovanni Venosta's 1988 release. New cover art features Sven Hedkin's photograph of early 20th century Tibetan death masks. Peter Sarram on the release: "While a number of the recordings that comprise this particular work have been (relatively) available - through a ReR anthology that also included tracks from the other Musci/Venosta collaboration, Water Messages On Desert Sand (1987) as well as some integrated in the Music From Memory compilation, Tower Of Silence (MFM 014LP, 2016), released under Musci's name only this is indeed the first time one can listen to this fundamental work as it was meant to be heard. . . . Urban And Tribal Portraits reaffirms the idea of postmodern pastiche as a multimedia multisensory experience and sound as an ecosystem that is both aleatory and concrete, ephemeral and durable. In these binary paradoxes, a radical notion of the nature of collaboration, that is both chance induced and conversely conceptually worked out, is also established. . . . Urban And Tribal Portraits re-politicizes the notion of pastiche, engaging as it does in a kind of eco-practice, turning the process rather than the musical object into the poetic focus of the work. . . . Like much Italian experimental music from that magical decade of the '80s this is not your dad's fourth world music, with all of it's ambiguous aestheticism of 'unifying' some not so well-defined primitivism of 'world ethnic styles' with the futuristic sounds of whatever 'advanced electronic techniques' were the platter du jour. In this sound the 8-bits of the E-Mu Emax is as primitive as the Jews Harp while the electronically treated Pygmy chants turn out to be as futuristic as the multi-timbral capacities of the OB-8. From the funk ostinatos of 'El Lamento de los Ayatollah' where Venosta showcases his straight piano playing to the rarefied queer guitar arpeggios in 'Tamatave', the peaceful ripples in 'Dialogue Between A Dreamer And Others', the playfulness of 'Starfish & Kangaroos' or the post-punkish This Heat/Cabaret Voltaire aggression in 'The Fear Of A Soldier' this is destabilization as praxis, a shifting of the ground. . . . A DIY bricolage: a de-structuring of everyday sound objects towards new uses fed by local eco-situated experiences, transformative of performance and listening. Surrealist 'musicking' indeed. "